For many generations, we Americans have all too often relied on food manufacturers to provide us with convenience foods. Whether the food is prepackaged, pre-sliced, pre-cooked or any other convenience, generally the more processed food is, the less ‘real’ it is. During the 1950’s and beyond, food manufacturers tried to fill the void that was left in the kitchen after more women entered the workforce. These dehydrated and artificial foods were also pushed on Americans because after World War II, food companies had to convince people to purchase their military grade foods or risk bankruptcy. Manufacturers saw a need to make food preparation easy while staying in business; however, along the way, they went too far. What exactly is this? How is Jello considered a “salad”? Overlooking quality for convenience, we failed to realize that these manufactured foods were often fake foods: “fruit” juice made from high fructose corn syrup, potato chips made from dehydrated potato flakes and then baked and shaped into chips, and “cheese” that isn’t cheese, but actually prepared/pasteurized cheese products in various forms – cheese loaves, cheese in jars, individual “cheese” slices wrapped in plastic, and yes, even the cheese that squirts out of a can. Within the past few years, I became aware of the imitation foods I was eating and moved to a more natural diet, eating less ‘fake’ food. I was pretty surprised about some of the crap I was putting into my body. As someone who grew up during the 90’s ‘low fat’ movement, moving to more natural foods was challenging. I recently stopped drinking Crystal Light iced teas, something I had drunk for 30+ years, when I fully realized that there was NO TEA in it – only citric acid, a scattering of chemicals, artificial flavorings and colors. (I really got turned off from the product when I learned that most citric acid produced in the US is made from Aspergillus niger fungus, not citrus fruits; the fungus feeds on sugar to produce citric acid.) Needless to say, now I only brew real iced tea or just drink water. I cut out the most obvious of fake foods from my diet. I now eat real cheese instead gooey cheese-eque slices wrapped in plastic. Salad dressings are made at home or I buy those that require refrigeration only. I avoid buying Cool Whip as a replacement for whipped cream because what even IS Cool Whip?? It’s definitely not whipped cream that’s low in fat, but rather hydrogenated vegetable oil, high fructose corn syrup, skim milk, and other things that belong in a chemistry lab. I also completely kicked Splenda out of my life for good. Processed foods for me, are now kept at a minimum. Along the way, I learned that manufacturers fraud consumers by mislabeling their products as well. Combine this with the increase in products made from fake chemicals and flavorings that we take as food, food producers are making billions and our health is deteriorating. The honey industry is a shady business yet a lucrative one. Honey is an expensive product that most people don’t know much about. 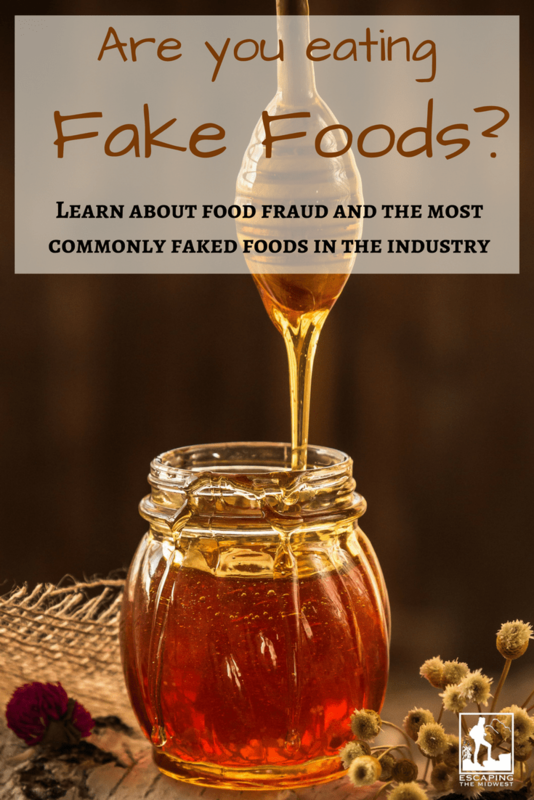 As a result, honey is easily faked since additives like high fructose corn syrup don’t change the way it looks. To try to “regulate” the honey industry, the USDA created a voluntary grading system, letting manufacturers grade their own honey without the USDA even testing it or grading it. So obviously, every honey bottle is going to be labeled “Grade A, ” not Grade B or C. Not only are there no federal standards for honey, but there is also no government certification, inspection, or enforced regulation. The American Beekeeping Federation wants regulations to require “real honey” to have pollen in it. However, many large honey producers filter their honey to be free of pollen, which keeps the honey from crystallizing. Honey from China has been banned in the US because the Chinese were using non-FDA approved chemicals on bees and cutting the finished product with corn syrup. However, now illegal Chinese honey is often sent to another country, relabeled as that country’s product, and then sold in the US. Extra-virgin olive oil is the most profitable and valued category of food oil in the United States. Because of this, corrupt sellers are enticed to use fillers and trick the consumer into paying more for something that is actually low quality. 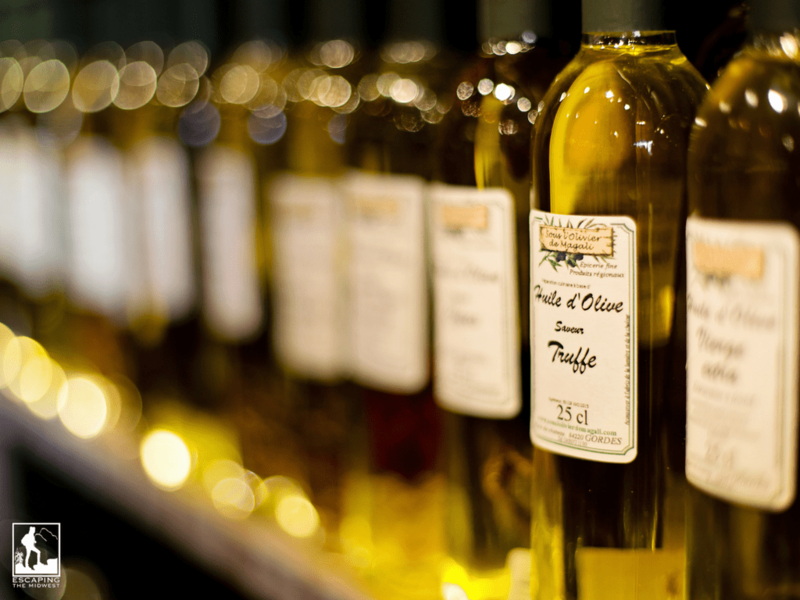 It doesn’t help us consumers since it’s hard to distinguish the good olive oil from the bad. Just as they did with honey, the USDA created a voluntary grading system that allows manufacturers to grade their olive oil how they see fit. All regulations for olive oil are voluntary and again, nothing is enforced. So any producer can label their oil top quality extra-virgin olive oil. 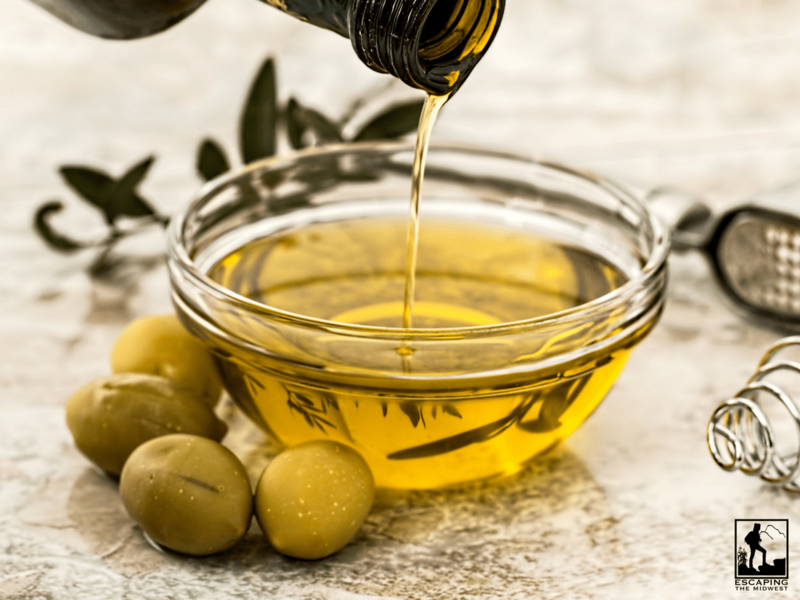 The counterfeit oils are often blended with cheaper oils like soybean or sunflower oil or they are higher quality extra-virgin olive oil that’s diluted with low quality olive oil or even last year’s leftover oil. According to the University of California Davis’ Olive Center, “Of the five top-selling imported “extra virgin” olive oil brands in the United States, 73 percent of the samples failed the IOC (International Olive Council) sensory standards for extra virgin olive oils analyzed by two IOC-accredited sensory panels.” That’s pretty shocking. Buy your extra-virgin olive oil in darker bottles, look for a harvesting date and an International Olive Oil Council seal, don’t buy a blend, and expect to pay more. You can see the report filed by the University of California-Davis’ Olive Center report here. America’s coffee industry is a $5 billion dollar industry, just in the states alone. When you buy coffee that is pre-ground or instant, your coffee may be cut with cheap fillers. Researchers have found materials like roasted corn, chicory, cereals, starch, twigs, malt, and even ground parchment in coffee. Often times with whole bean coffee, cheaper Robusta beans are substituted for the better Arabica bean, even if in small portions. This allows coffee producers to increase their profits and stretch the better coffee beans into more bags. If you care about the coffee you drink, you’re best bet is to buy whole beans and invest in a coffee grinder to grind the beans yourself. Buy whole beans from smaller makers and reputable brands, and stay away from the big supermarket brands. Don’t kid yourself – there’s a reason why that giant can of ground coffee is so cheap. Yes, I’m sorry. Your favorite truffle fries are not cooked in real truffle oil at all, but rather oil that’s chemically altered to taste like truffles. Truffles are a fungi that grow in the ground near certain types of trees. They cannot be planted, nor grown in a lab, and they can only grow in perfect conditions. Since they grow underground, pigs were used years ago to find the coveted tuber. Now, truffle hunters use trained dogs. Because truffles are so rare and so expensive, most restaurants don’t buy them. Even the cheapest truffles cost over $100 per pound. So unless you’re dining at a 5 star restaurant and the chef is shaving a whole truffle over your food at your table, you can bet it’s not real. I’m embarrassed that it took far too long for me to realize that most maple syrup on the market isn’t maple syrup at all. In fact, most syrup on supermarket shelves is just a bottle of high fructose corn syrup, regular corn syrup, and a ton of other flavors, thickeners, and preservatives. I’d like to think that fake syrup was invented to give people a cheaper alternative to real syrup, but now manufacturers are laughing all the way to the bank, selling us cheap maple-flavored corn syrup. 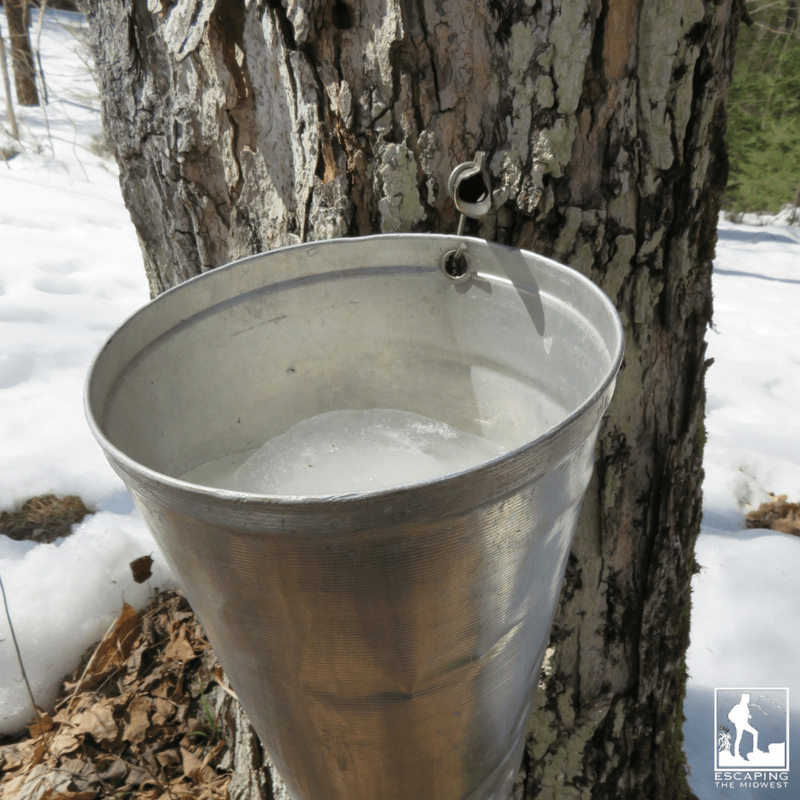 Where real maple syrup comes from! I gladly buy the real maple syrup now, happy to support our American tree tappers in the northeast and beyond. We just eat less pancakes now and wholeheartedly enjoy the real maple syrup when we do. Most of us that grew up in America know the infamous green can of parmesan cheese that sat on our kitchen table on spaghetti night. But did you know that the green can of parmesan cheese contains more than just parmesan? How about cellulose. Cellulose is WOOD PULP. It’s used as an anti-clumping agent to keep the cheese from sticking together and forming big clumps. Recently, Kraft has been hit with lawsuits because their label claims “100% Grated Parmesan Cheese.” While Kraft considers 2-4% of cellulose to be an acceptable level within their cheese, other cheaper brands, have been found to contain as much as 8% cellulose. Buying fruit juice is tricky. That’s because most of the time you’re getting something other than the juice that’s listed on the front of the label. Labels have to be read on juice! 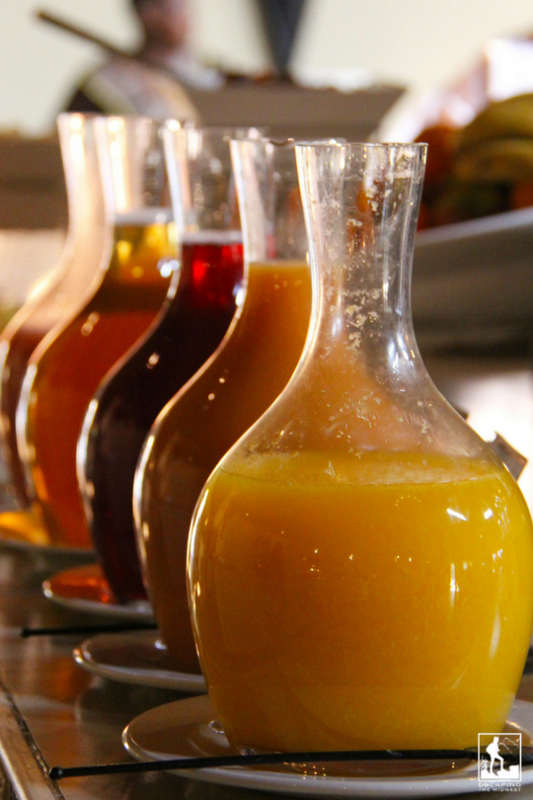 Juice makers are not mandated to list the percentages of each juice that’s in the bottle, but the contents are listed from most to least on the ingredient label. Apple juice and grape juice is cheaper than other juices so they are usually the highest percentage of juice within juice blends. Food manufacturers love it since they’re using cheaper juice and saving money, making you think you’re buying 100% of whatever juice is on their label. So, for example, even if the label says there’s 100% strawberry orange juice in your bottle (which may be correct, if the bottle has 100% of any juice), the primary ingredient is likely grape and/or apple juice. You have to be a smart consumer and read the label! As a vegetarian, I’ve come a long way from eating frozen “hockey pucks” (what my family calls the popular frozen veggie burgers), and I now make my own vegetable burgers. However convenient the frozen pre-made ones are, many of them aren’t even made from vegetables. And shouldn’t a veggie burger be made from veggies?? 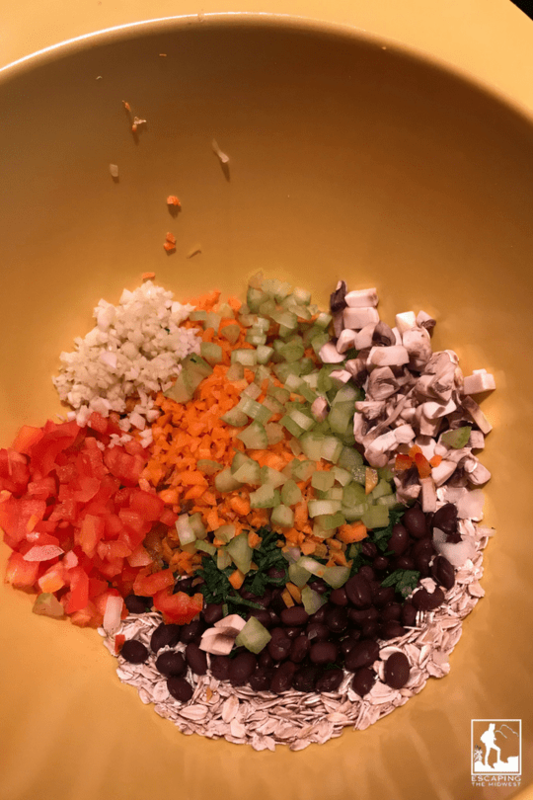 The colorful, natural ingredients that make up my homemade veggie burgers. I understand calling a non-meat patty a meat-substitute, but don’t call it a vegetable burger if it lacks vegetables. Many popular frozen patties are made from soy, wheat gluten, oils, and flavor enhancers. Keep an eye on sodium amounts in the burgers as well, since manufacturers pump salt into the meatless patties. If you’re looking for an awesome recipe for homemade vegetable burgers, try this one! Canned Pumpkin – Now, canned pumpkin is a real food, but people don’t realize that their favorite can of pumpkin is not 100% pumpkin. So what is it? It’s squash. The USDA doesn’t distinguish pumpkins and squash because they are in the same squash plant family. So our favorite cans of pumpkin are likely a mix of pumpkin (which is a squash) and other winter squash varieties that results in the best tasting and best textured canned pumpkin that we know. Spices – Spice producers have been known to add weight and enhance the color of their spices. Since spices are sold by weight and usually sold crushed or powdered, it is easy for them to be altered. 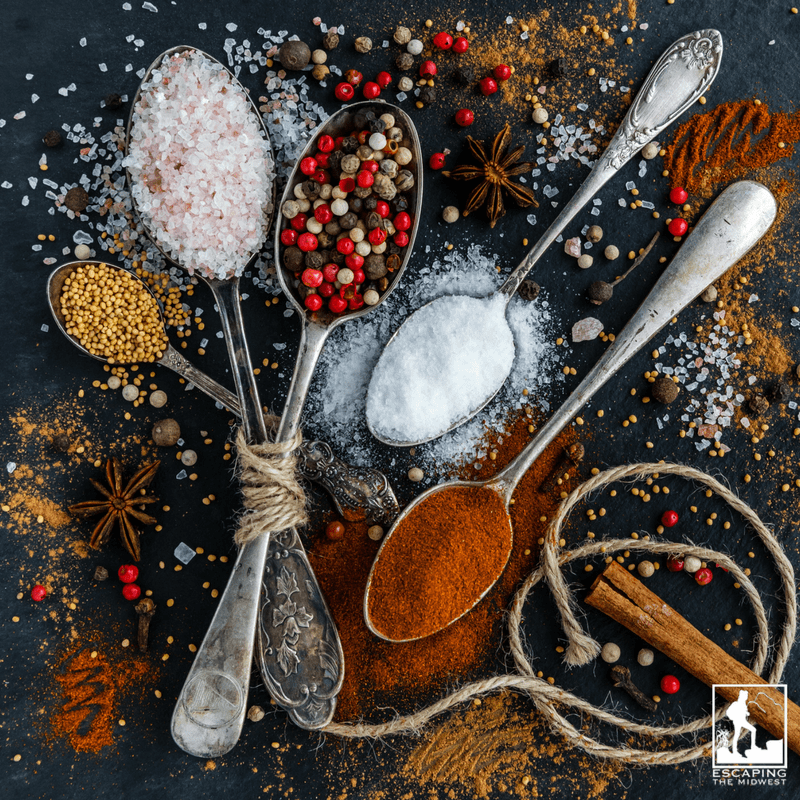 Flour, corn starch, cheaper spices, and sawdust have been found being used as fillers. Chemicals also are sometimes added to improve the color or appearance of the spice. If you want quality, your best bet is to grind your own spices or buy from a reputable source. Bacon Bits – Turns out that most brands of these little bacon pieces are not made of bacon at all. Surprisingly, they’re even vegan! Great for vegans and vegetarians like myself, but if you’re looking for the real deal, you’re better off crumbling up your own bacon. Counterfeit meat – Studies have shown that some brands of chicken nuggets contain less than 50% chicken meat! The other half (or more) of the nugget consisted of bone, cartilage, fat, blood vessels, and preservatives. Lobster is another meat that is often not as “pure” as we’d like. Often, cheaper seafood is added to the lobster (or sometimes even replaces it) and we consumers are none the wiser, especially since lobster is often added to ravioli, soups, and lobster rolls, thus disguising the lack of lobster taste. Use caution with crab meat, too. Imitation crab meat is a real thing – it’s fish paste! Kobe meat – Don’t kid yourself that you’re getting authentic Kobe beef in town for under $20. Real Kobe beef from Japan costs $200-$300 per pound and is only available at a handful of restaurants in the US. Less than 4,000 cattle each year even qualify as authentic Kobe beef, and less than 10% of this beef is exported out of Japan. For a list of restaurants selling authentic Kobe beef, click here. 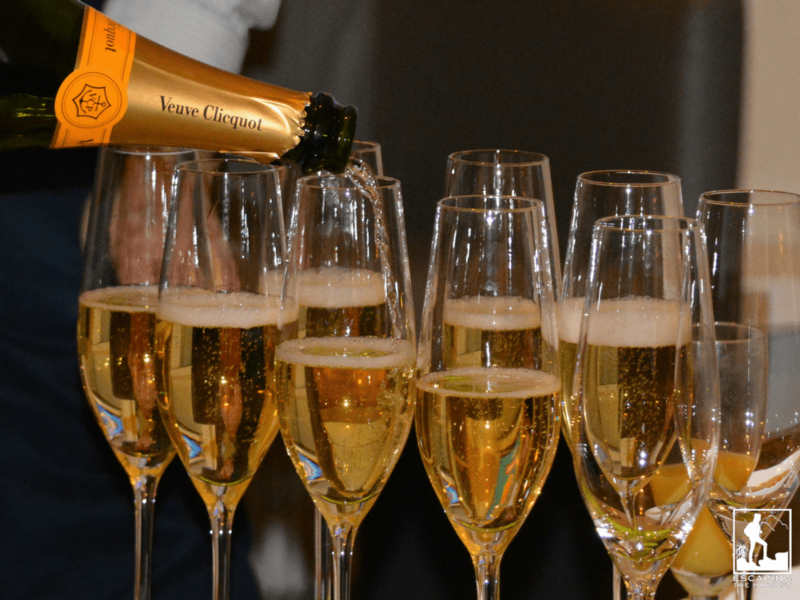 Champagne – Real Champagne must be a sparkling wine from the Champagne region of France, right? Nope. The US can legally make and sell sparkling wine as Champagne due to a loophole in the Treaty of Versailles. Crazy. Be sure to read the label to see where your Champagne is really made. Click here for more information. Instant mashed potatoes – Sure, these products are made from dehydrated potato flakes. But have you looked to see what else is in them? There’s a long list of ingredients after the dehydrated potatoes are listed, most of them being oils, preservatives, and other chemicals. Buy real potatoes and spend the same amount (or maybe even less!) and get a lot less fake food for your money. Wasabi – Almost all wasabi sold in the US is not real. Real wasabi is a plant that needs perfect conditions to grow and is very expensive. Also, real wasabi loses its flavor within 15-20 minutes of being served. Unless you’re in a very upscale Japanese restaurant, having fresh wasabi grated onto your sushi, you can bet you’re eating a combination of horseradish, hot mustard, and green coloring. Protein Bars – The number of protein bars on the market has exploded in the past 2 decades. Protein bars of every size, flavor, and texture are available. But what’s really in them? Turns out a lot of protein bars are just candy bars in disguise. Packed full of artificial sweeteners, hydrogenated oils, artificial flavors, and other chemicals, it definitely doesn’t seem like health food. Your best bet is a protein bar with minimal ingredients, all of which you can name. After becoming a vegetarian, I found a perfect homemade protein bar recipe for me. You can read about it here. The bottom line is this – if you’re buying something that comes manufactured in a package, bottle, or can, you need to read the ingredient list. Food manufacturers often make flashy labels and misleading claims to sell their food. You have to learn to read the ingredient list to know for sure what you are getting. Shop the outside walls of the grocery store where the natural food like fresh produce, meat, and dairy are found. Stay away from the aisles in the middle as they are filled with non-perishable foods, most often manufactured, processed, and pumped with artificial flavorings and preservatives. I’m aware that not everyone has the time nor the money to avoid fake foods, but perhaps you can make small changes that, over time, will amount to a big one. Just try buying blocks of parmesan cheese and shredding them yourself instead of buying that green can. Your food will not only taste better, but you’ll avoid eating wood pulp (yummy!). As another example, I still use supermarket extra-virgin olive oil for cooking, but I keep my good extra-virgin olive oil for garnishing cooked dishes and for dipping bread. Good health is a constant work in progress. 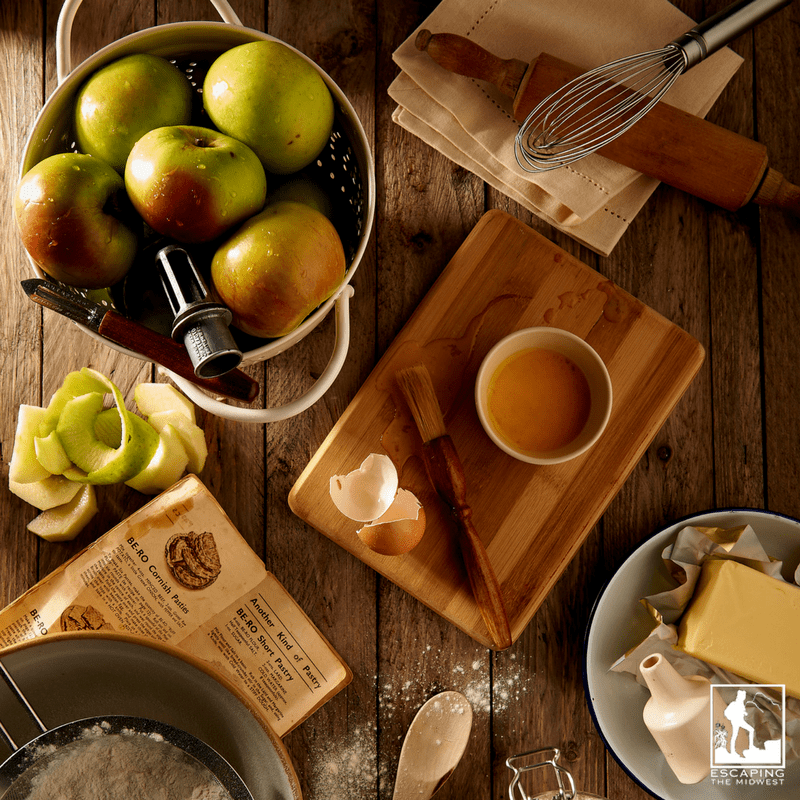 Trying cooking more at home, avoid pre-cooked or prepackaged items, and read your labels. These three tips should keep you away from most fake foods, all the while improving your health in the long run. Happy Travels and Cheers to Good Health! For more information about fake foods, take a look at Larry Olmsted’s book Real Food Fake Food.